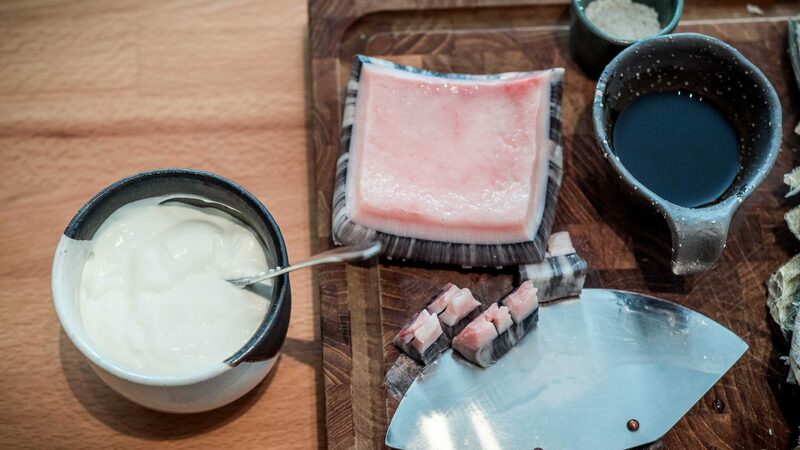 Whale meat, seal soup and lumpfish? 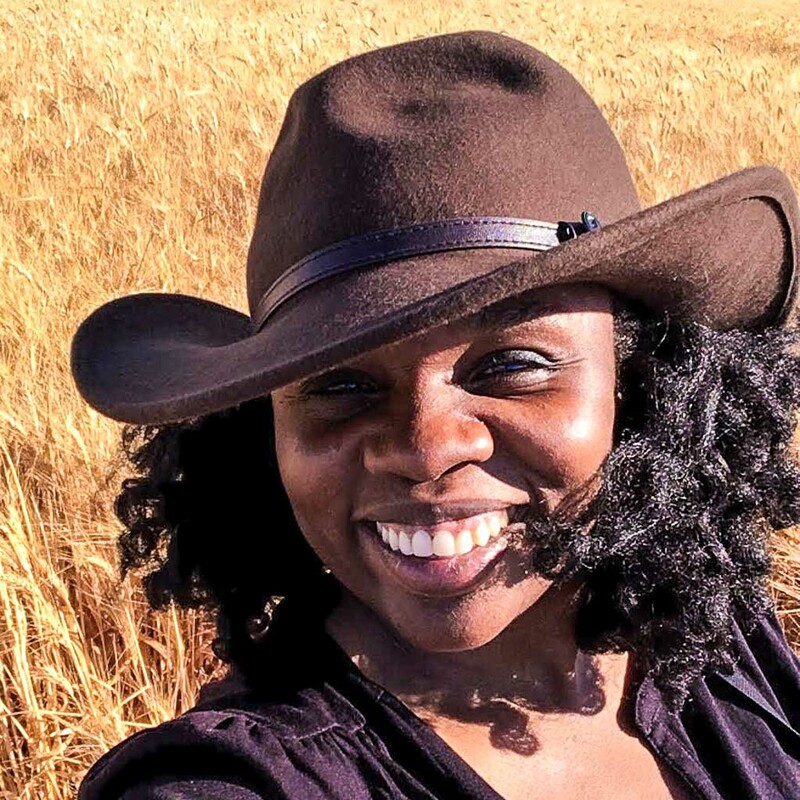 Featured contributor Lola Akinmade Åkerström arrived in Greenland with an open mind and quickly realized the raw, rustic, ‘no-frills’ nature of Greenland’s traditional Inuit foods was the key to understanding the country’s ‘edible’ history. Whale meat. Blubber. Seal. 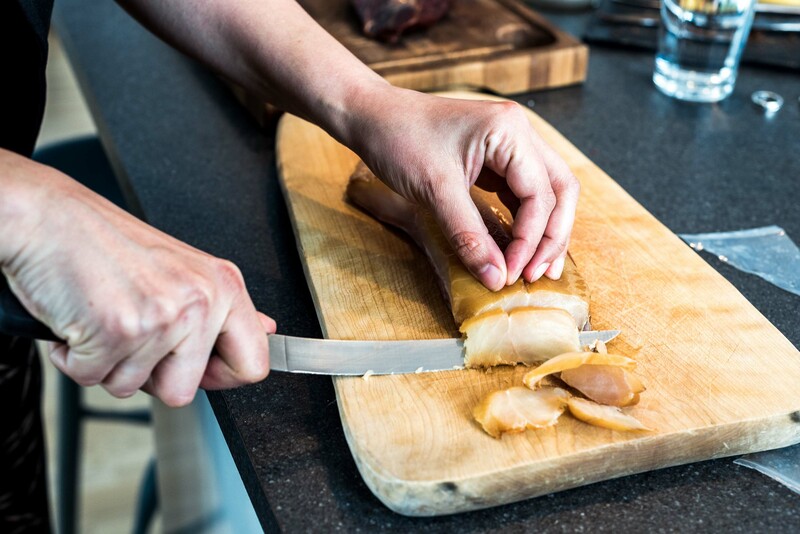 Eider (sea duck) … The first time I dug into these was in Greenland’s pint-sized capital Nuuk (population 17,000) and it initially felt like checking off items from an endangered species list. 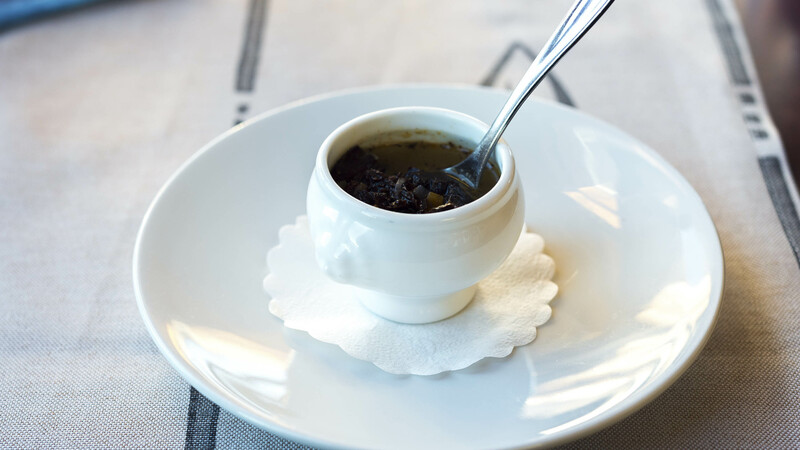 Even the national dish of this autonomous Danish territory is suaasat—a savory soup filled with boiled seal meat. I grew up in Nigeria, where if an animal swam, crawled, jumped, or scurried, it was eligible for consumption. So I came to eat my way through Greenland with a very open mind. But while our giant African snails, bush meat and beef tripe are well-hidden as hacked-up pieces submerged in thick stews of leafy vegetables and enough palm oil to coat our stomachs red, in Greenland, meat is on full display and often consumed in their raw, rustic state. 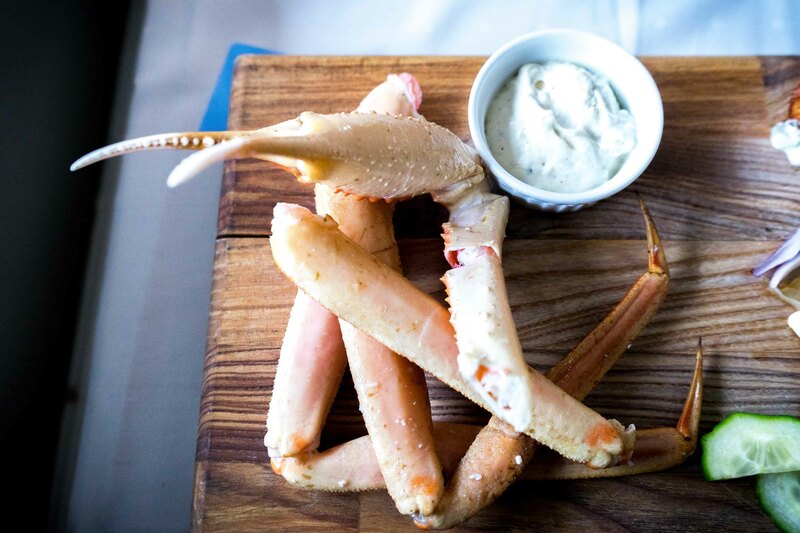 Yet, it wasn’t until I had landed on Greenland’s sparse shores deep in the throes of winter that I fully understood what it means to truly eat from one’s backyard. 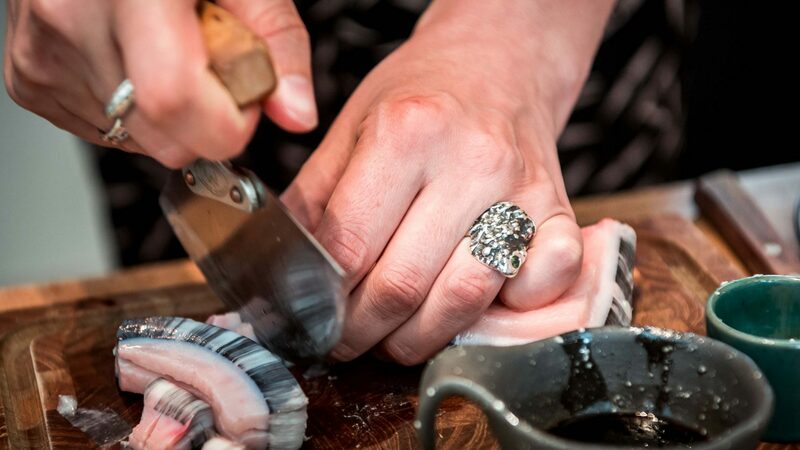 Traveling here means leaving food predispositions behind and to fully respect the indigenous Inuit culture, which has existed for over 4,000 years. Vegans are going to struggle here. 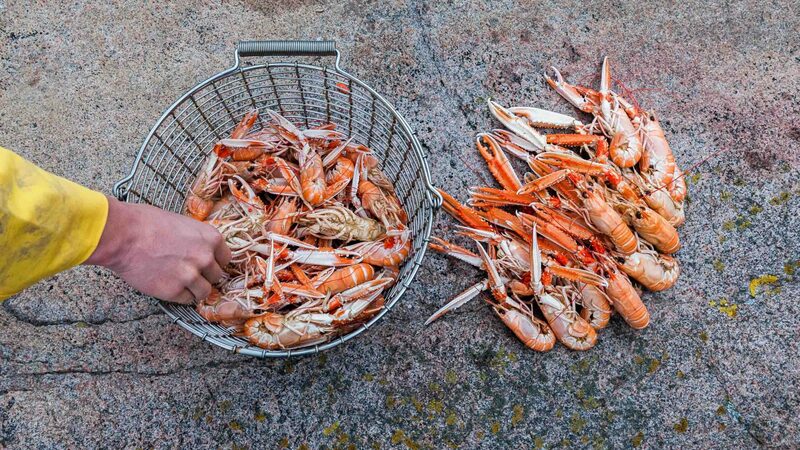 With harsh climates, practically no trees, near-barren land and 2.1 million square kilometers covered in glacial ice (the Ice Sheet), traditional Greenlandic cuisine has been shaped by dire environmental conditions and lack of easy access. 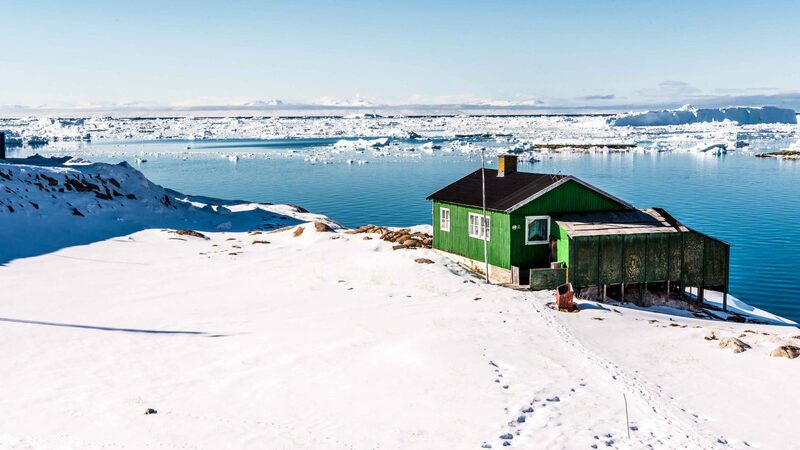 The Ice Sheet spares a few patches of soil in southern Greenland where a handful of sheep and produce farms are run, but with no roads connecting villages and towns on the Arctic island, deliveries are limited to small propeller planes and weekly ferries on rough seas. I move onto the curious white cartilage separating the fat from the rawhide and keep chewing at it like a goat—until Nivi informs me that part was actually inedible. Most fruits and vegetables are flown in from foreign countries, which can make them exorbitantly expensive to buy. This means subsisting mostly on marine life and sea mammals such as whales. While they are revered by many for their graceful qualities, sea mammals remain important to the indigenous diet; this traditional hunting practice is both respected and governed by strict rules and guidelines on sustainable, subsistence whaling. 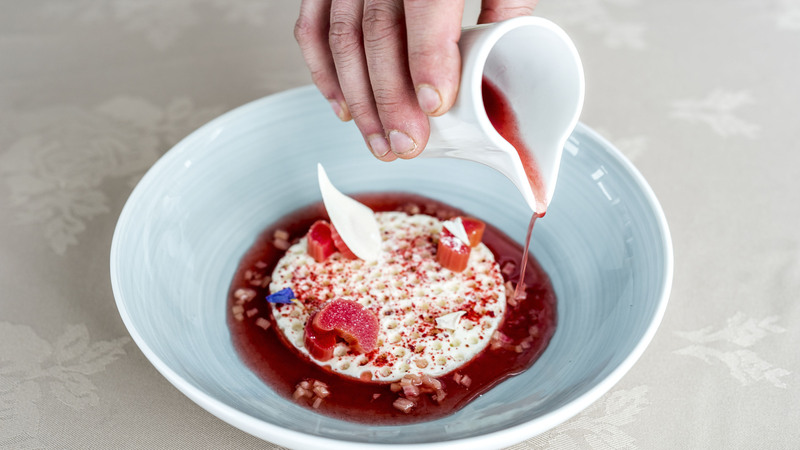 Often, it’s the physicality of the foods that adds to their mystique. For many travelers, half the battle is getting past this no-frills appearance to get to the flavor. It’s a case of mind over matter. 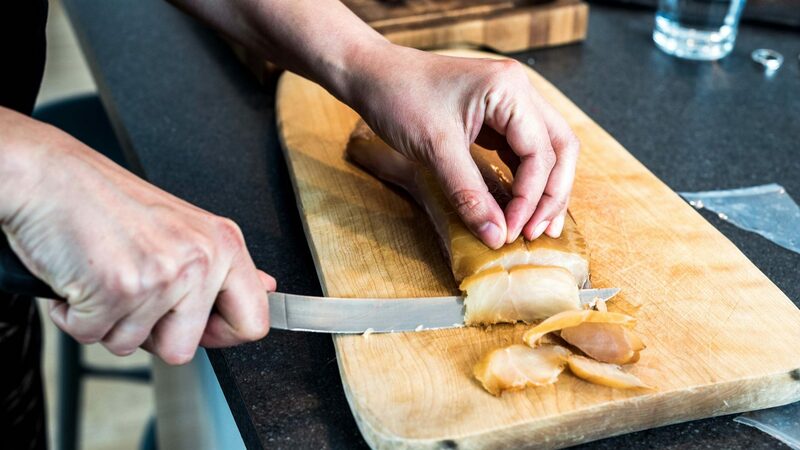 “Every family has their own way of cutting blubber,” Nivi casually explains as she wields a curved knife (known as an Ulu) and slices into thick narwhal blubber. Once I move past my mental image of the cute Arctic whale with its protruding tusk, I now feel humbled to partake in this. 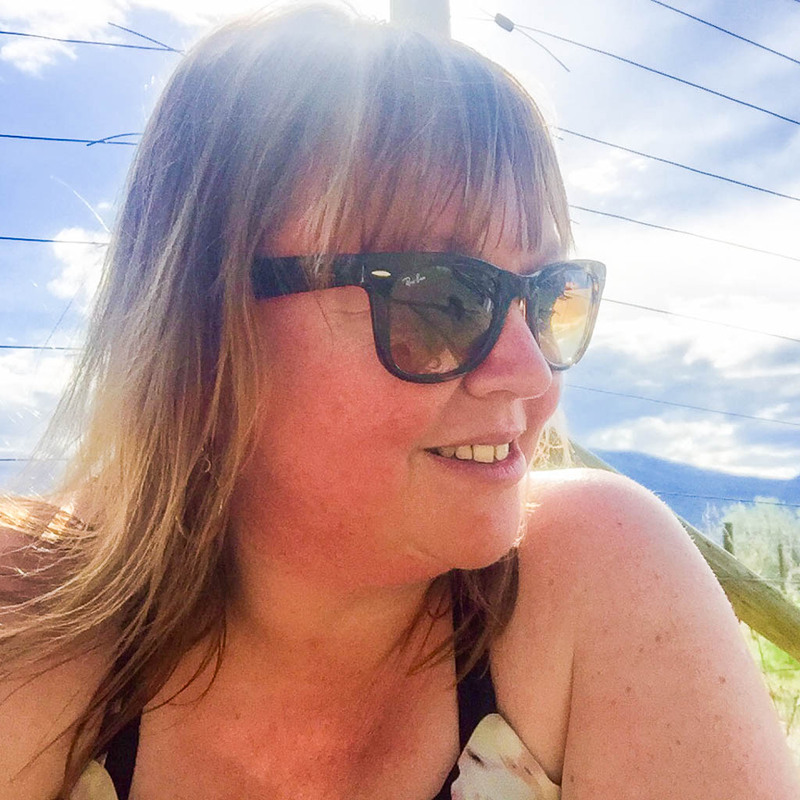 Originally from Eastern Greenland, Nivi is an art curator at a local museum, and is trialing a supper club concept as a way of introducing travelers to her culture through its food. 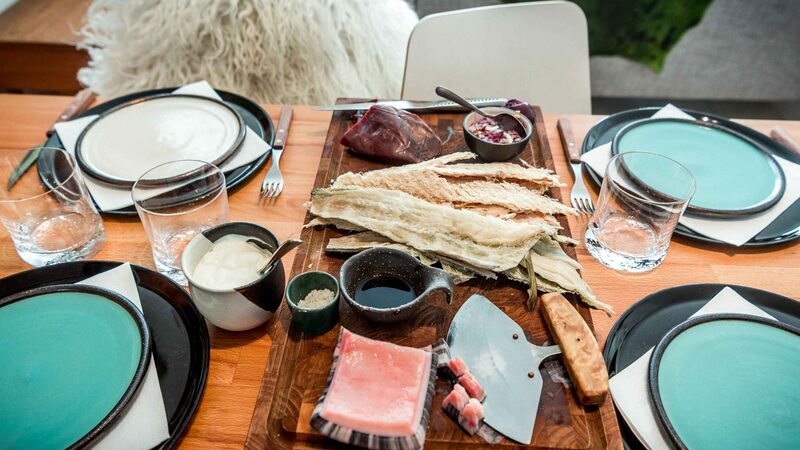 The dinner menu is free-range Greenlandic lamb (sava) from the south. Besides sheep and reindeer, the largest land mammal, weighing upwards of 800 pounds, is the musk-ox or umimmak which means “the long-bearded one” in Greenlandic. 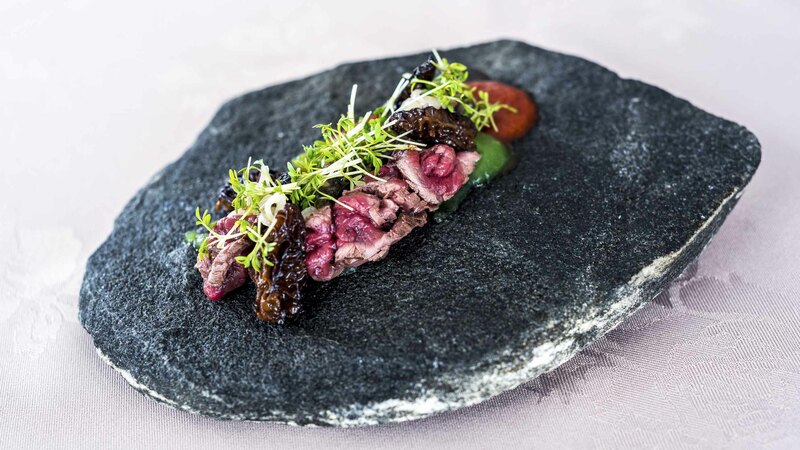 Musk-ox meat tartare is popular around the region, while its fur has kept them warm for millennia. I’m sitting in Nivi’s apartment with its minimalist-style Danish furniture, accentuated by the occasional sheep fur here and seal skin there. 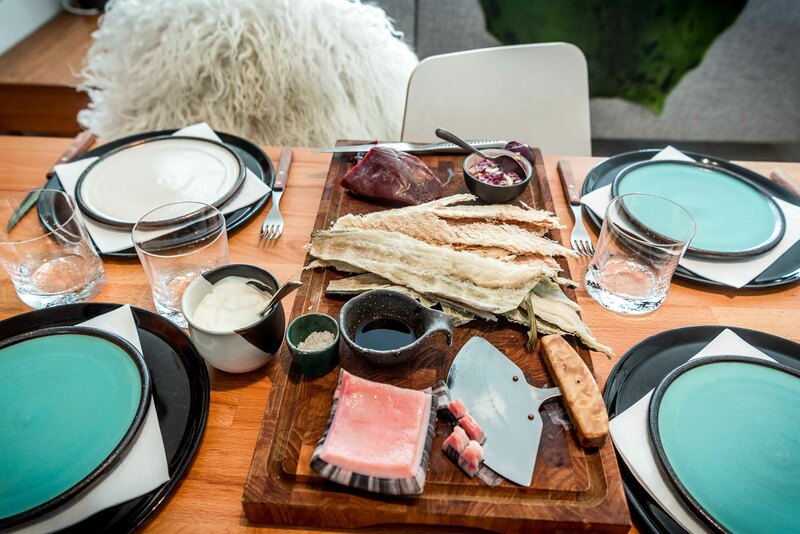 Before us, a spread of Greenlandic tapas prepared by Nivi. 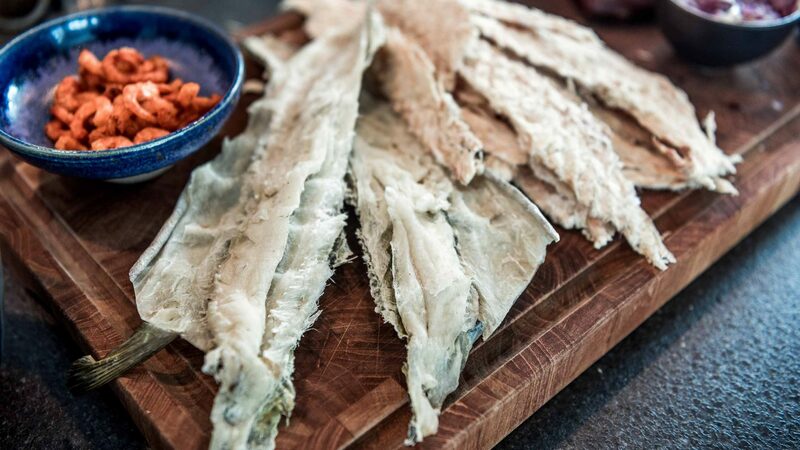 There’s lumpfish roe, dried cod, smoked shrimps, cured reindeer, and now, pieces of narwhal, which we’ll dip in soy sauce. For centuries, whale fat (blubber) has provided essential Vitamin C and fatty oils needed to help balance the Inuit diet. Grabbing a piece of narwhal blubber, I was caught off-guard by its crunchy consistency. I move onto the curious white cartilage separating the fat from the rawhide and keep chewing at it like a goat—until Nivi informs me that part was actually inedible. 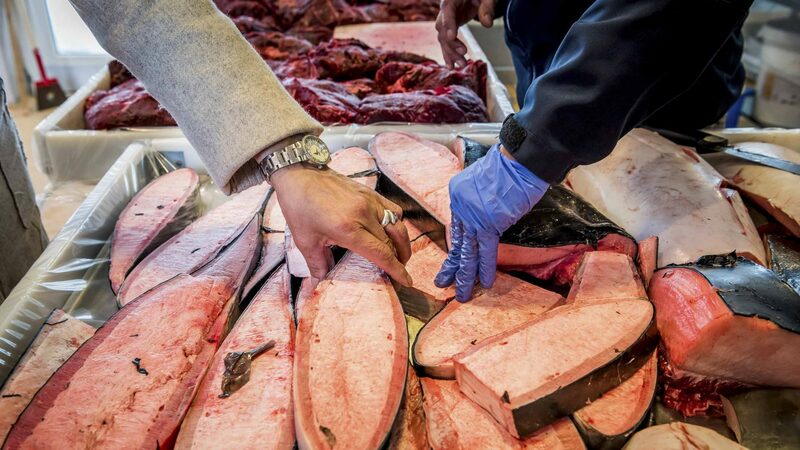 As we dip blubber pieces into soy sauce while the herb-scented waft of roasting lamb fills the air, Nivi suggests I visit the local fish market to see what all these dried, cured, preserved, and smoked foods on our dinner table look like in their raw state. 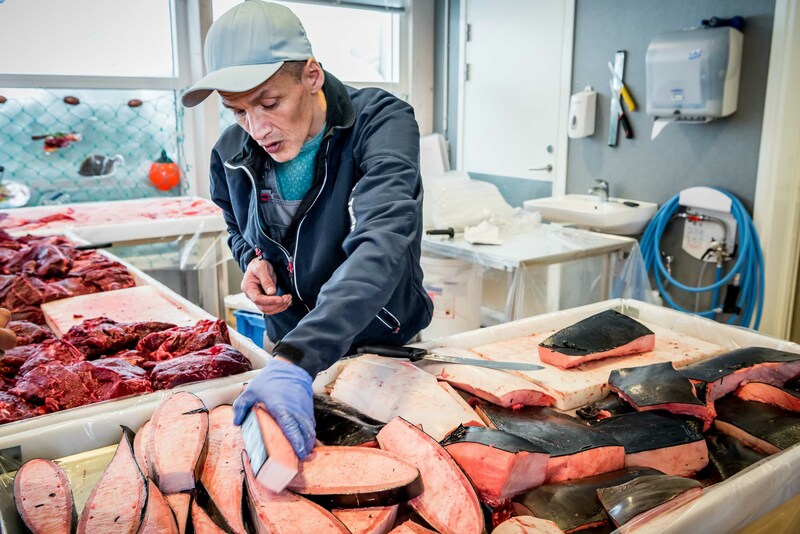 The next day, I find myself at Kalaaliaraq, a small fish market where fishmongers are grabbing, massaging, and cutting up large chunks of crimson red flesh as buyers look on. 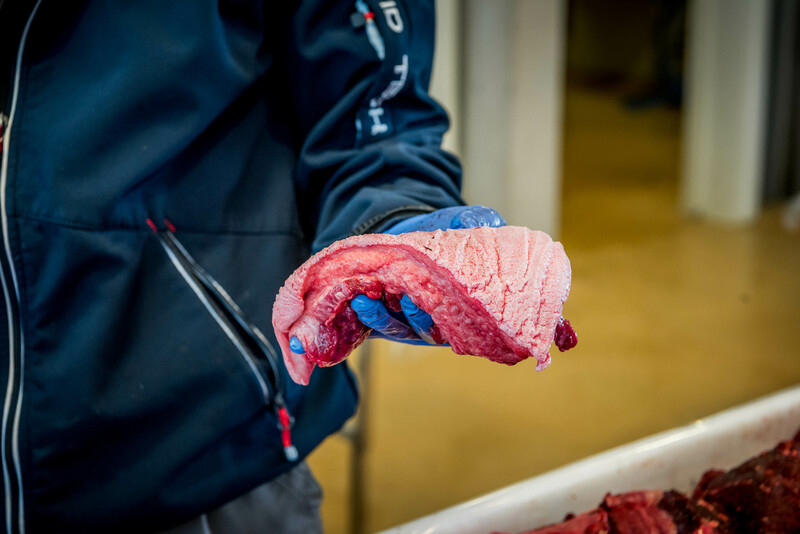 Cuts of flesh usually associated with a butcher are on display by fishermen; meat, tongues, blubber, and various cuts from mink, narwhal, beluga, and fin whales. 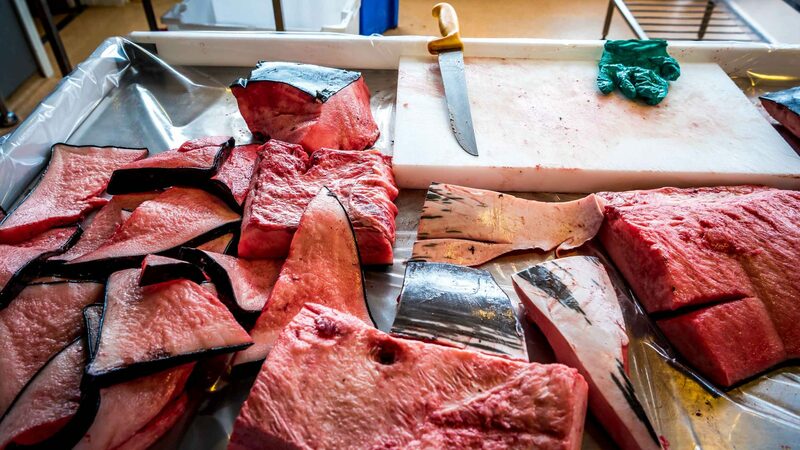 Whale meat is often dried like beef jerky, smoked or cured (known as arfeq nikkui); it’s also eaten raw. 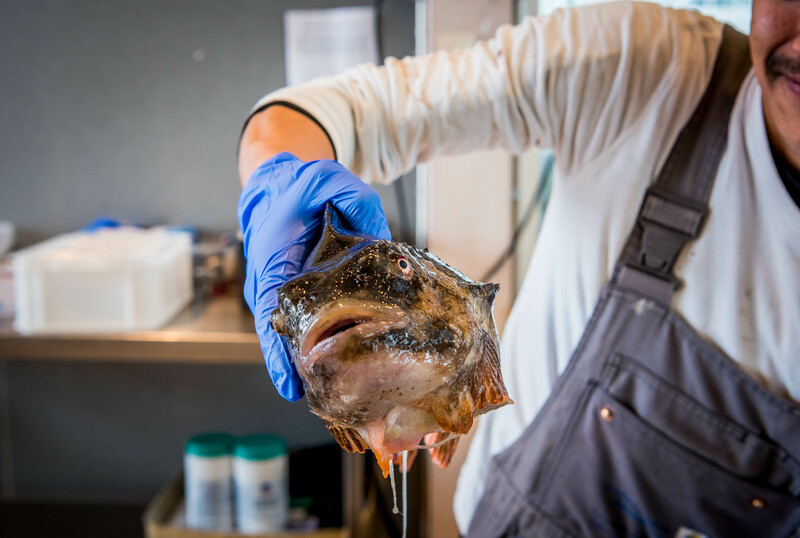 As I move from stall to stall, I encounter more marine life sources of the Greenlandic diet such as wolffish also known as Atlantic catfish (geeraq/kigutilik) and halibut (qaleralik). 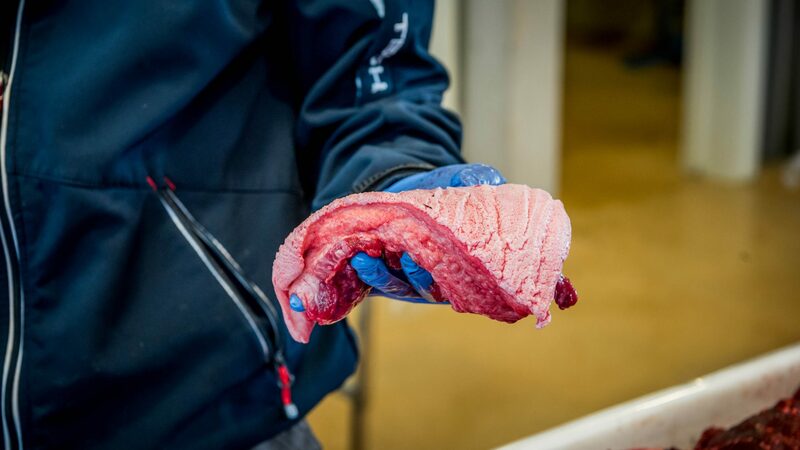 With an abundance of fresh fish in the cold clean waters of the Arctic and North Atlantic oceans, it’s no surprise the territory has one of the world’s largest halibut production industries. Even arriving into subzero (-38) degrees on his first day hadn’t deterred Swedish-born chef Björn Johansson. 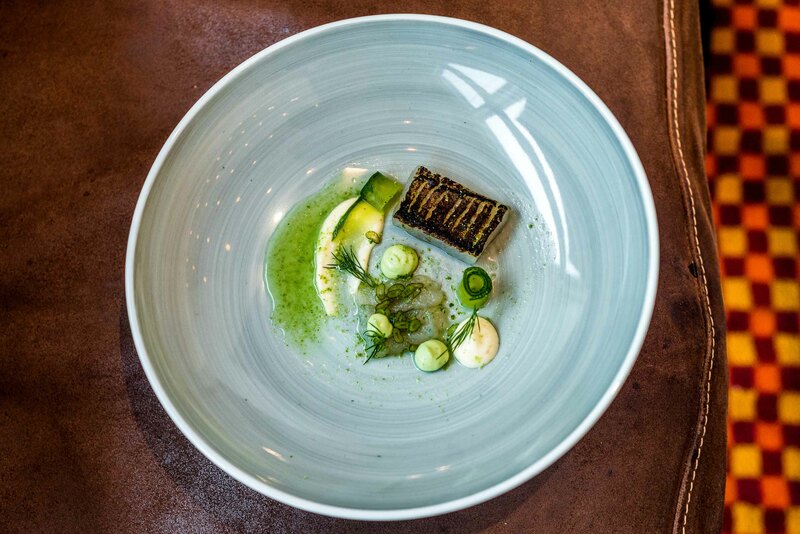 Having lived in Greenland on and off since 2007, Björn has always been fascinated by the dichotomy of Greenlandic food—simple yet challenging to hunt—and just how close to nature the Inuit ate. 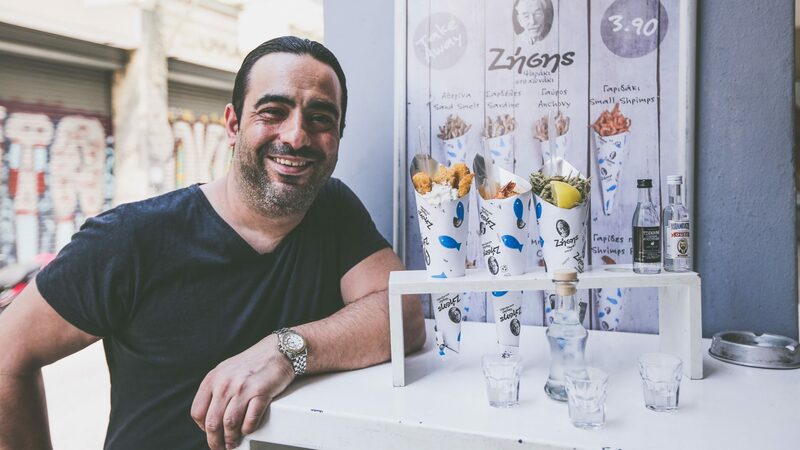 I pause in front of a curious-looking fish, its eyes bulging out the sides of its head as it gasps for air, as a fishmonger holds it up for display at the fish market. “What is that?” I shriek. “Lumpfish,” he explains, amused by my reaction. 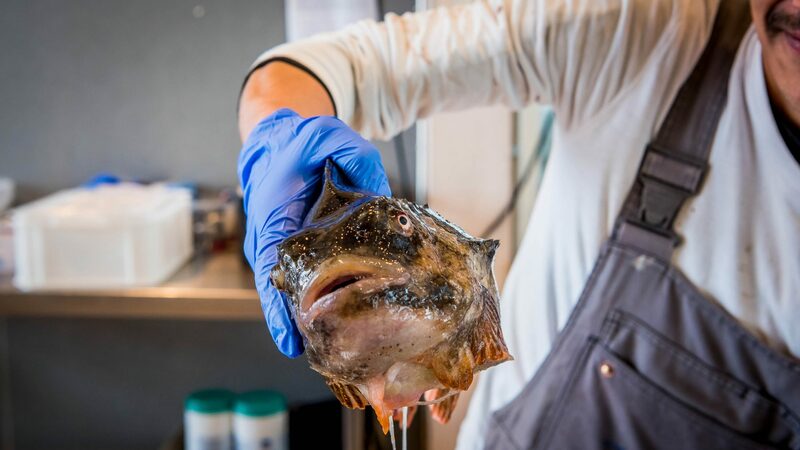 Also known as lumpsuckers, these bulbous and often prickly beady-eyed fish produce high-quality, larger-than-average roe, a delicacy often served as an appetizer. I’m promptly instructed not to leave Greenland without trying some. 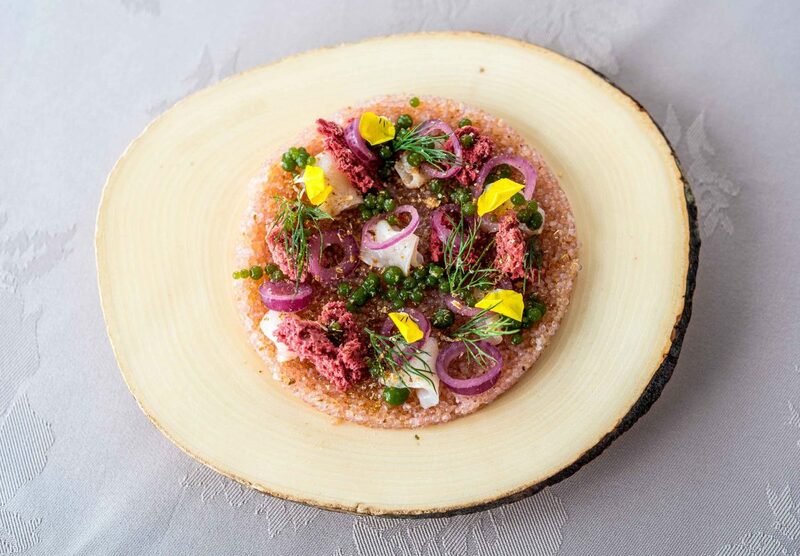 Top: Lumpfish roe topped with dried brioche reduction, sorbet of crème fraiche, dried lemons, and pearls of dill; Bottom: Swedish-born chef Björn Johansson at Restaurant Sarfalik where he prepares Inuit dishes with produce freshly sourced from local fishermen at Kalaaliaraq. Pictured here is pan-fried razorbill (seabird) with blackberries, cocoa reduction with cream, grilled terrine of apple, and boiled dinkel wheat. 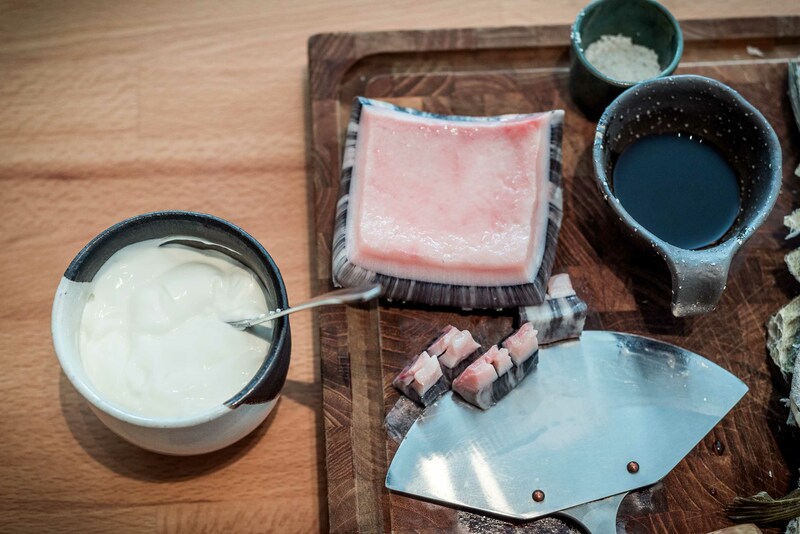 “You don’t get fresher than this,” Swedish-born chef Björn Johansson tells me, as he scoops a dollop of sorbet made from crème fraiche onto large translucent beads of dusty pink lumpfish roe, washed and salted in-house, and freshly sourced from local fishermen at Kalaaliaraq. I’m at Restaurant Sarfalik in Hotel Hans Egede, and Björn is shining new light on rustic Inuit cuisine. The rosy-cheeked Swede had fallen in love with Greenland in many ways, including marrying a local. 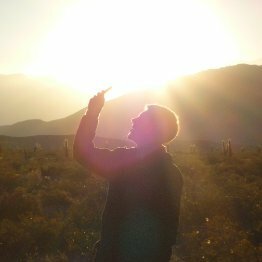 Even arriving into subzero (-38) degrees on his first day hadn’t deterred him. 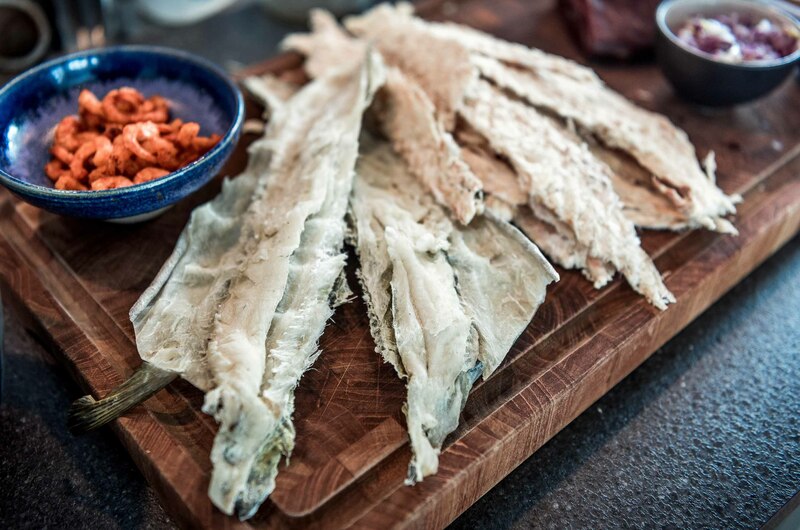 Having lived in Greenland on and off since 2007, Björn has always been fascinated by the dichotomy of Greenlandic food—simple yet challenging to hunt—and just how close to nature the Inuit ate. 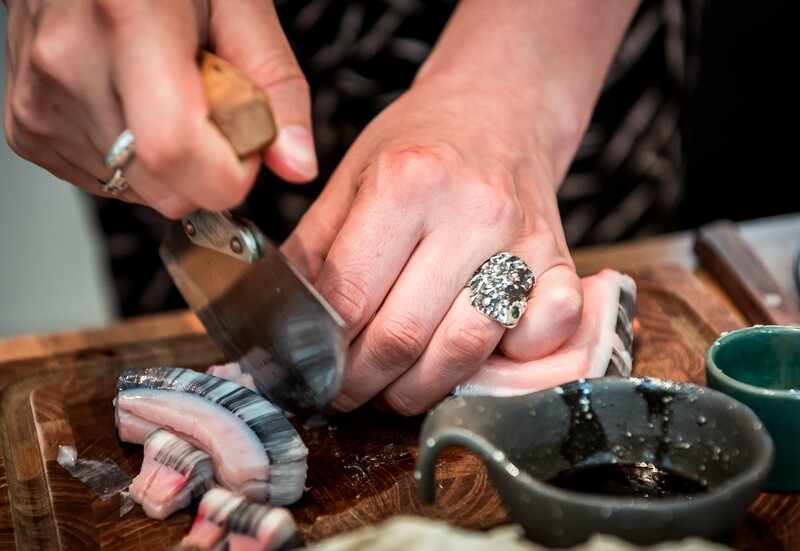 Learning traditional cooking methods also means infusing some level of creativity. Most protein sources have either been salted and dried over extensive periods of time to preserve them, and cooking methods include smoking too. 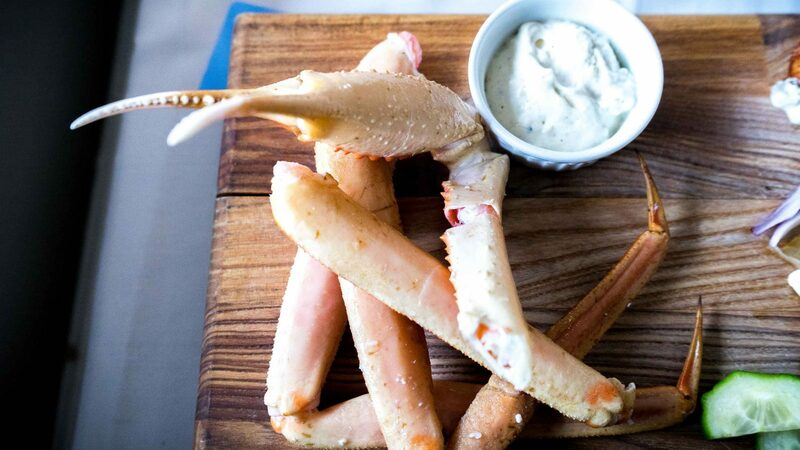 Thankfully, the Inuit can preserve foods for longer—subzero temperatures provide a natural freezer—although garnishing dishes with ingredients such as sprigs of herbs, lemon wedges, and other nice-to-have items is not so easy. Next up is a healthy chunk of sea duck called Eider (Miteq). I’m expecting a taste of duck, but eider is chewier; a mature taste reminiscent of wild game. 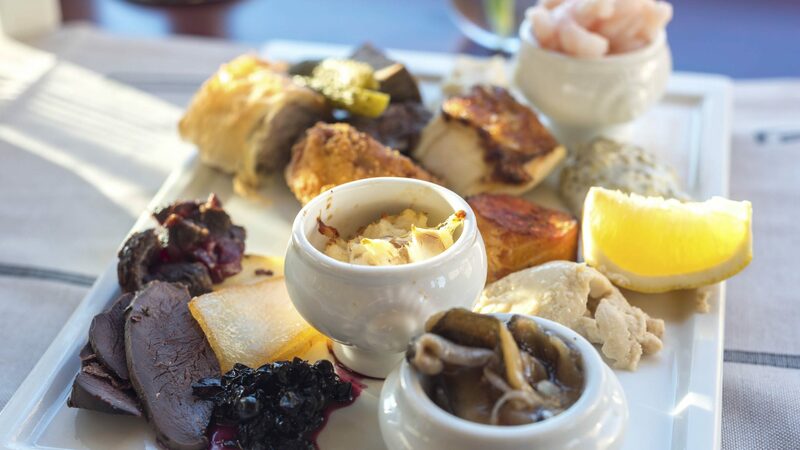 It’s one of many sea birds such as auk, ptarmigans and guillemots that regularly feature in Greenlandic cuisine. Because these birds are migratory and leave during winter, hunting them is limited to a small window between late spring and autumn when they return. Finally, I arrive 350 kilometers north of the Arctic Circle into Ilulissat, known for its floating icebergs, and can dig into seal soup (suaasat). The main types of Arctic seal (puisi) in the Inuit diet are ringed, harp and hooded seals. This dark red—bordering on ink-black—meat is used in traditional soups, while the skin is dyed and used for garments and upholstery including Greenland’s national dress. 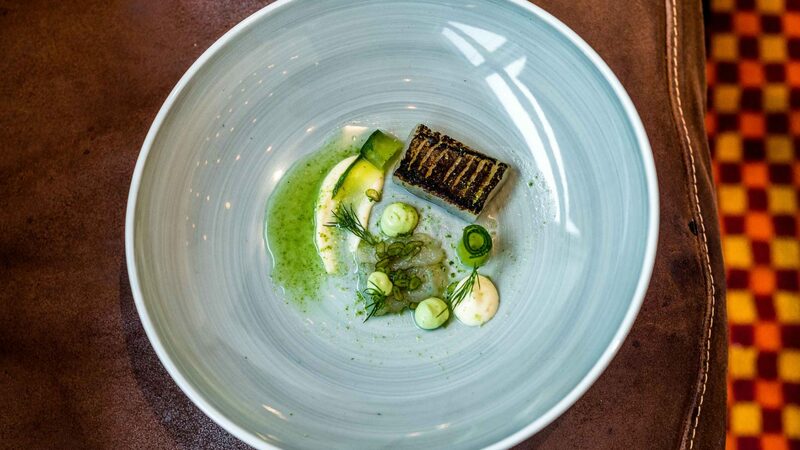 It’s inside a wooden fisherman-style shack with views of multi-story icebergs where I find Danish chef, Kim Pederson of Restaurant Mamartut. Inside is a mishmash of ‘60s-style summerhouse furniture, a weathered stretched fur of a polar bear, walrus tusks, and other personal memorabilia and effects assembled over the years. 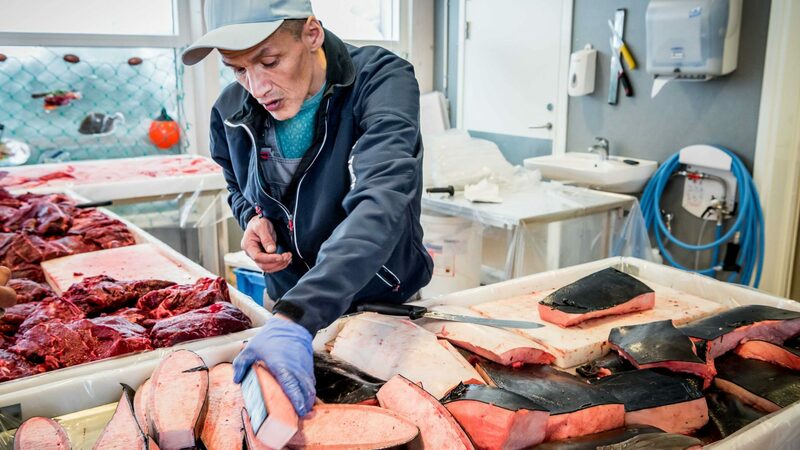 Kim has been living in Greenland for 21 years and running the restaurant for 12, smoking his own whale meat and blubber in-house. 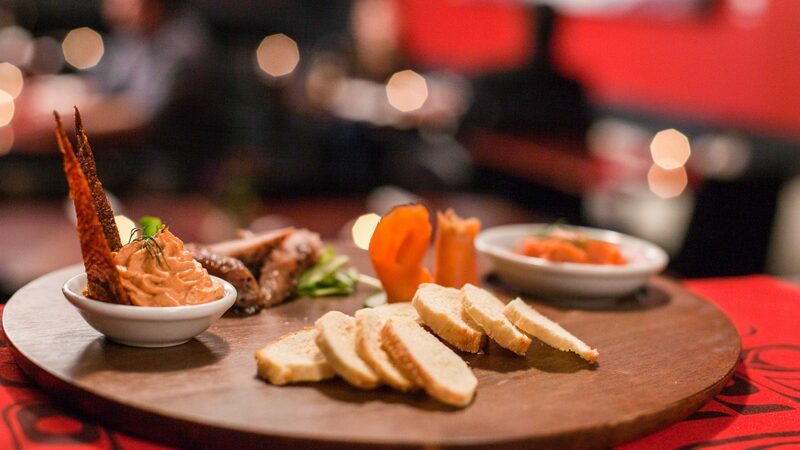 His tapas tray is filled with ingredients mostly sourced from the bay, such as fin whale, narwhal blubber and wolffish. Spending a week on a diet limited in vegetables and fruits, but chockful of protein, had made me appreciate the challenge of sourcing food items we so readily take for granted back home. And so, with a newfound admiration of Inuit cuisine, I happily slurp spoonful after spoonful of chunky seal soup.